Voice is the biggest change to the way people search since the rise of mobile. Just a decade ago, the concept of controlling technology using just your voice was the stuff of sci-fi. Today, it's a readily accepted part of our daily lives. Most consumers' first exposure to voice search came with the debut of Siri on the iPhone in 2011. Today, Siri, Alexa, and Cortana compete for our attention, and the booming smart speaker market features a who's who of tech competitors, including Google (Home), Amazon (Echo), and Apple (HomePod). Nearly one-third of marketing leaders see voice search as the "next big thing" in search marketing. Clearly, voice search is not a technology your business can afford to ignore. Consumers have been quick to adopt voice search, but businesses are less prepared for its implications. In the past, when a consumer searched the Web for something such as "best pizza near me," the list of search results included multiple blue links on a page. Now, when consumers pose that question to voice-enabled services such as Google Assistant, Siri, or Alexa, the result will often be just one answer—the one the search service determines is the best result. That means if a business isn't that first response, it risks not showing up at all—and losing business. The website, once the centerpiece of a brand, is quickly being overtaken as third-party information sources, such as voice assistants, become more and more intelligent. That is why brands need to go beyond traditional SEO. 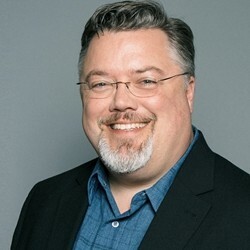 Jeffrey K. Rohrs is chief marketing officer at Yext, a technology company that helps businesses manage the public facts about their brands that they want consumers to see online.